A half-length portrait of a lady executed in charcoal and pencil. Although unattributed it is assumed that this portrait dates from England circa 1850. The sitter, although not conventionally beautiful, has a characterful and intelligent face and is clearly not from common stock. 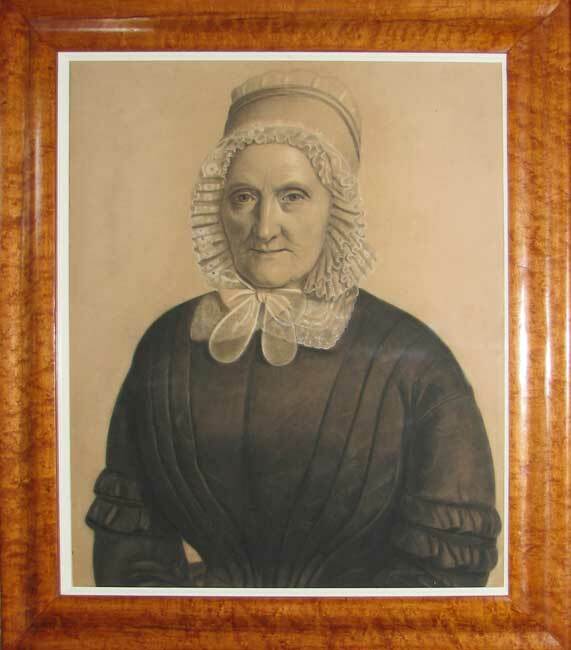 Her attire and bonnet allude to widowhood in middle age and a puritan background. Her stare fixes the artist's eye with confidence and an undisclosed sadness. The drawing is highly accomplished with particular attention to the detail of the lace that lines the bonnet and frames her face.